The Penn State Karate Club (PSKC) is one of the oldest university-based martial arts programs in the U.S. It has been an active part of the Penn State University experience for over 45 years. Founding member Sensei Dane Sutton, 9th Dan – Hanshi, is presently the head instructor and a club advisor. While at Penn State Sensei Sutton has taught Karate to more than 7,000 PSU students and promoted more than 250 Karate Club members to Black Belt. Many of these Black Belts have gone on to establish their own schools or are instructing for law enforcement agencies or the U.S. military. In June of 2007, Okinawan Grandmaster Kichiro Shimabuku presented Sensei Sutton with a special award for his extraordinary accomplishments and dedication to Isshin Ryu Karate. The PSKC promotes physical fitness, self-defense, leadership, and cultural exchange through the practice of traditional Okinawan Karate. The club is recognized worldwide for the quality of its training and has won top team honors at several World Championships. Several times in its history, the PSKC has been rated as the top school out of more than 850 such schools worldwide. Okinawan masters have frequently visited the club to provide instruction in the martial arts and culture of Okinawa. Visiting Okinawan masters include Grandmaster Kichiro Shimabuku, Grandmaster Angi Uezu, and Master Tsuyoshi Uechi. In addition to fitness and self-defense, the club promotes academic excellence, teamwork, diversity, and cultural exchange. The membership includes a diversity of students from throughout both the U.S. and the world. A true diversity of backgrounds, ethnic origins, and political and religious affiliations is represented. It is a model for those who wish to learn about goal setting and cooperative effort to achieve success. The effectiveness of this training is seen not just in the many tournament victories but also in the academic and professional achievements of thousands of PSKC alumni. 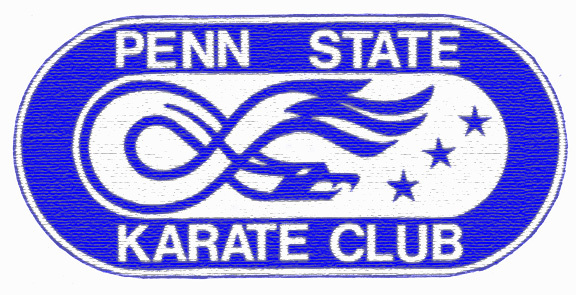 The Penn State Karate Club is a student-run sports club sanctioned by Penn State. Membership in the club is open to all Penn State students, faculty, and staff. No previous martial arts experience is necessary. In addition to self-defense and fitness, training includes non-violent conflict resolution. Isshin Ryu, developed in the 1950s by Tatsuo Shimabuku, is translated as “One Heart Way/Method/Flow”. It is a synthesis of two other Okinawan styles, Shorin Ryu and Goju Ryu. American soldiers stationed in Okinawa after the second world war studied with Master Shimabuku and brought his style back to the United States. Isshin Ryu emphasizes a balance between hard & soft techniques. The punches in Isshin Ryu are thrown with a vertical fist that is faster and delivers power over a broader range than the traditional twist punch. Kicks are fast & low, ideal for self-defense. Blocks distribute the impact across the posterior forearm muscles and the ulna & radius bones to reduce arm injuries experienced with single forearm bone blocking techniques.